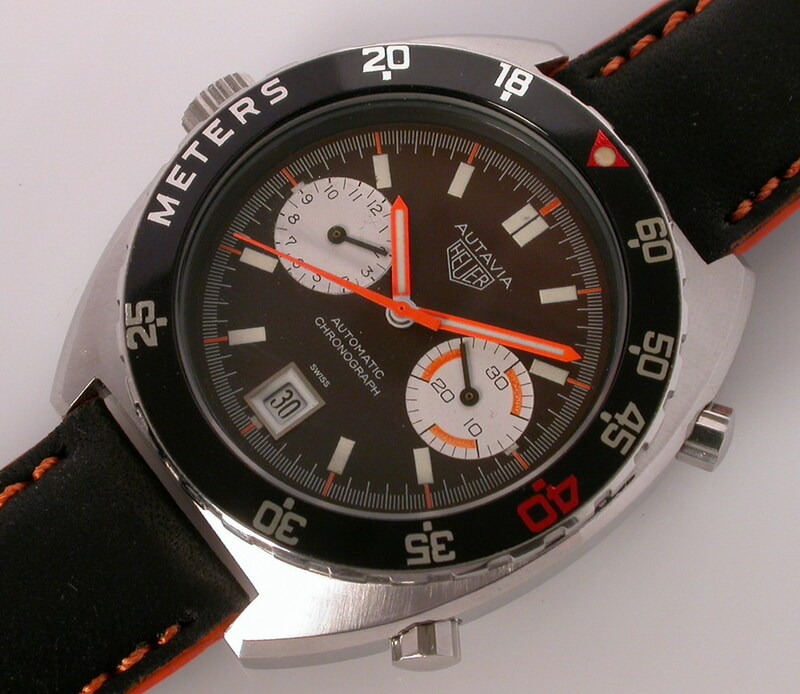 By aligning the orange arrow on the bezel with the minute hand, the diver can see the amount of time that he / she may stay at a particular depth, without requiring decompression. For example, at 60 meters depth, the diver would have only 5 minutes, but at 50 meters, that is extended to 9 minutes, and at 40 meters, to 15 minutes, etc. 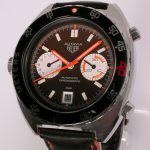 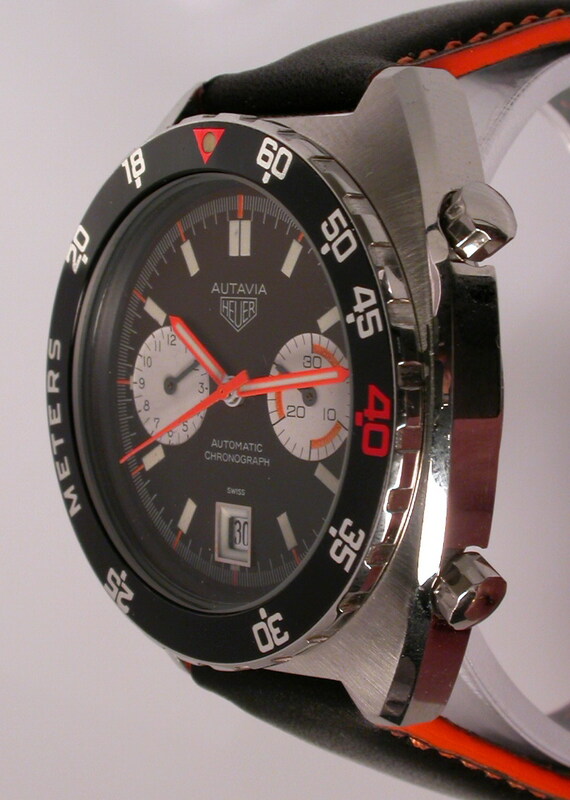 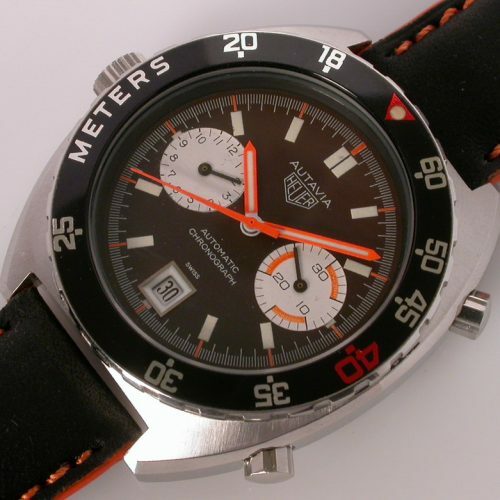 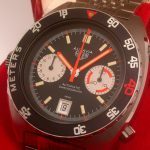 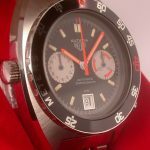 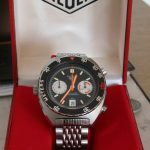 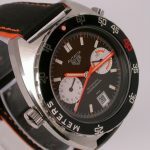 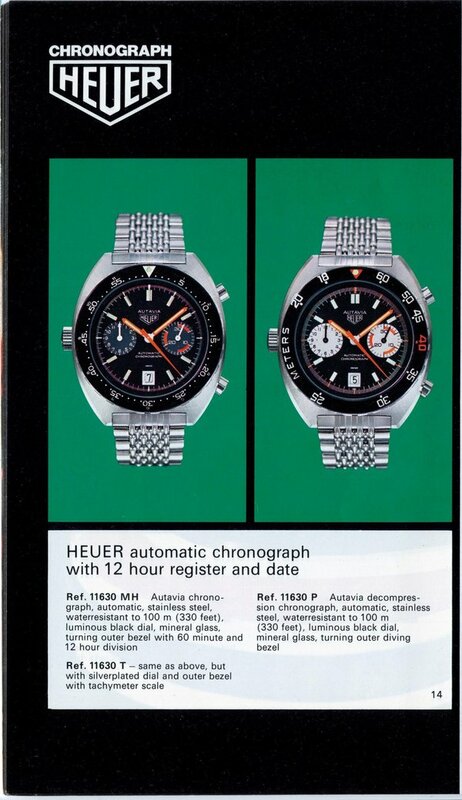 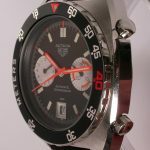 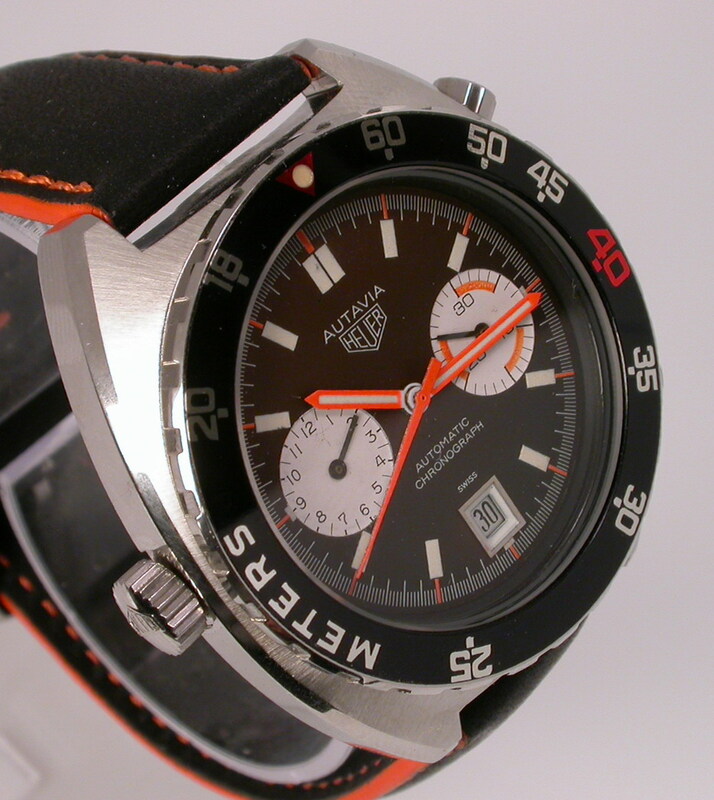 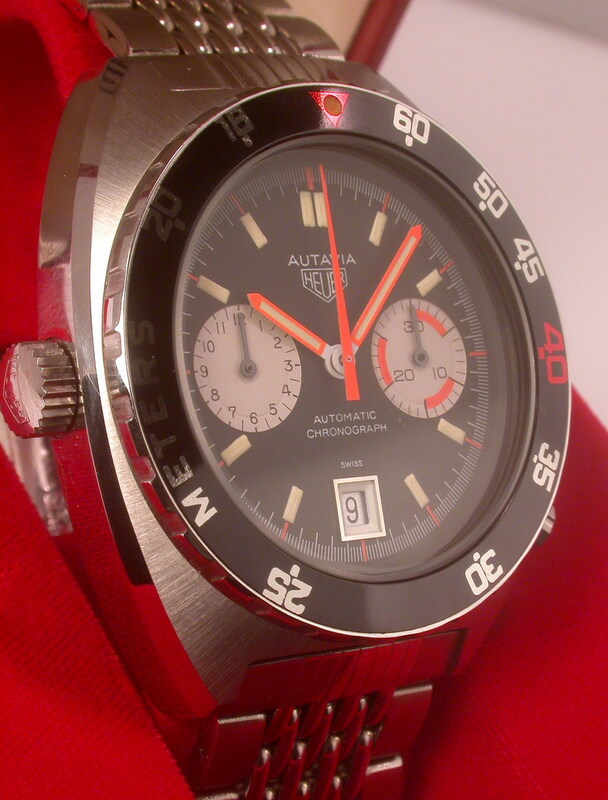 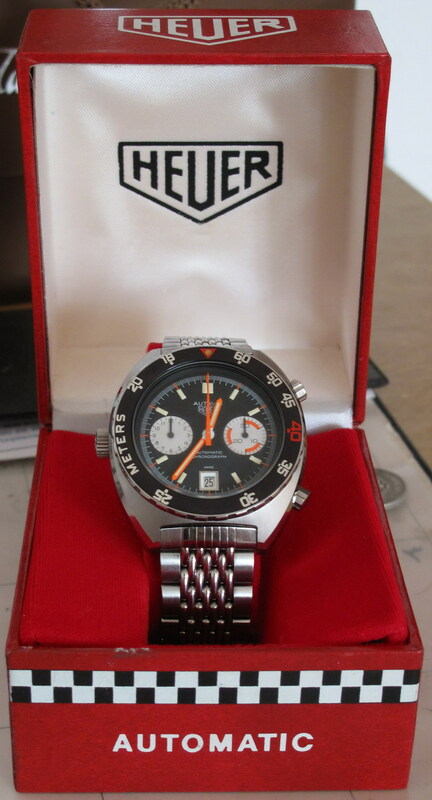 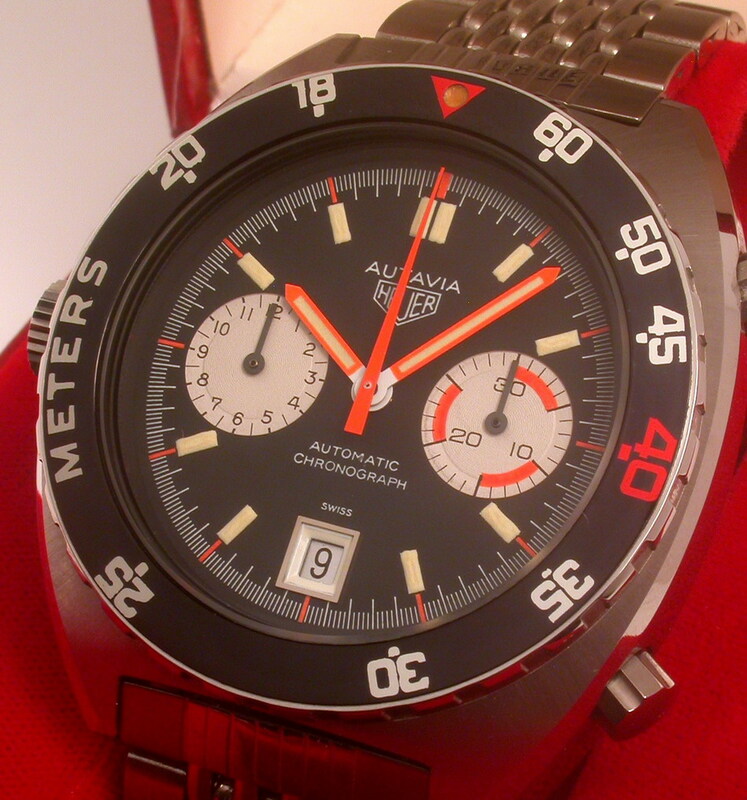 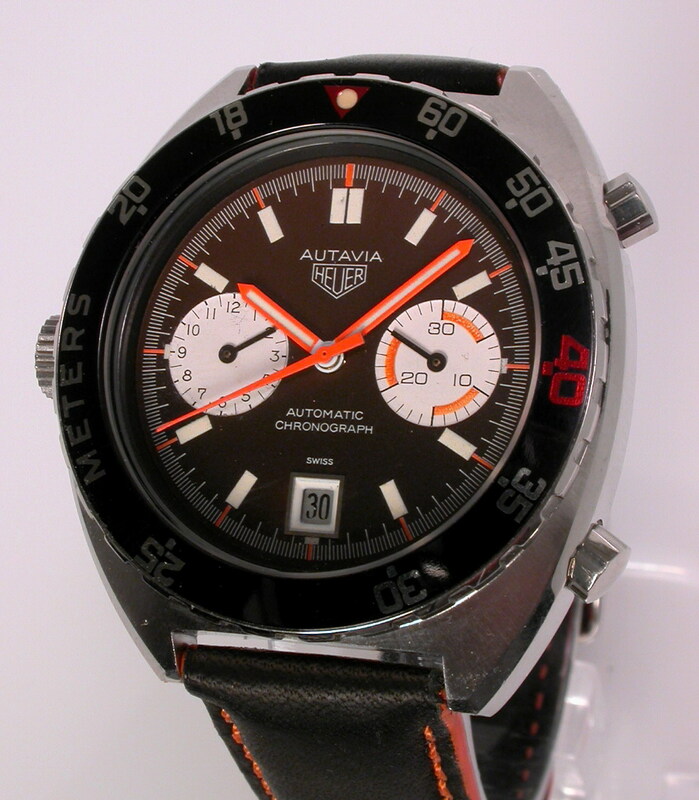 See the Heuerville posting, Heuer Autavia 11630P Diver Decomp Tropic. 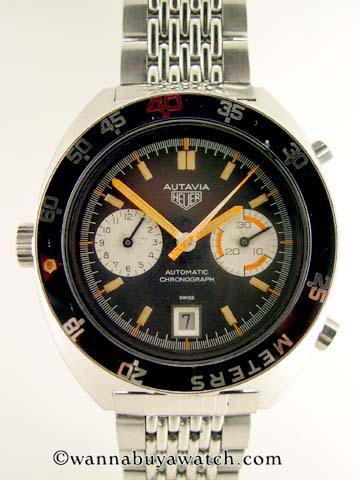 The Autavia Reference 11630 P is one of the chronographs worn by Mick Jagger, as described in our blog posting — Satisfaction — Mick Jagger is a Heuer Guy!